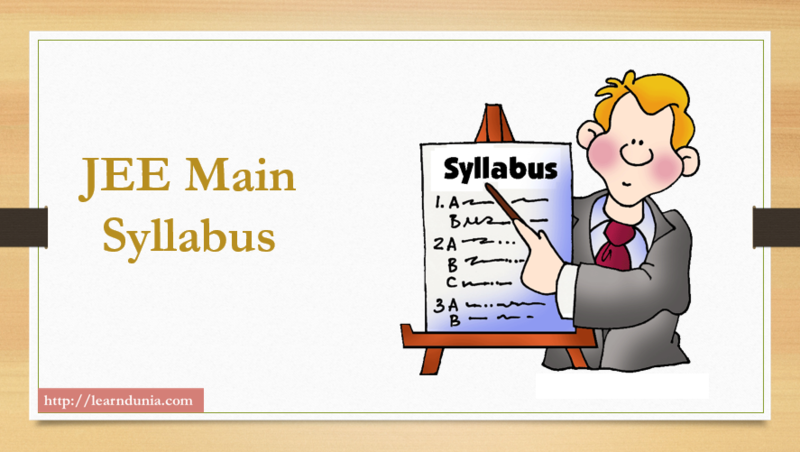 For an exam preparation every aspirants need is syllabus. NTA comprises JEE Main Syllabus into the three subjects i.e. Physics, Chemistry and Mathematics. As you know that JEE Main Syllabus is too vast. 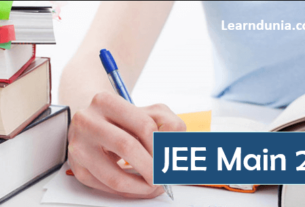 It is advised to every JEE Aspirants that you need to prepare really well for JEE Main 2019. 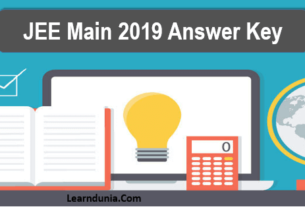 So students need to prepare very well for JEE Main 2019 and need to review syllabus before starts preparation. In this section 80% section contain numerical type of questions and 20% of questions contains theoretical section. Click Here to download JEE Main Syllabus. Physics, technology and society, S.I. units, Fundamental and derived units. Least count, accuracy and precision of measuring instruments, Errors in measurement, Significant figures. Dimensions of Physical quantities, dimensional analysis and its applications. The universal law of gravitation. Acceleration due to gravity and its variation with altitude and depth. Kepler’s laws of planetary motion. Gravitational potential energy; gravitational potential. Escape velocity. Orbital velocity of a satellite. Geostationary satellites. Coefficient of Viscosity of a given viscous liquid by measuring terminal velocity of a given spherical body. Potentiometer – (i) Comparison of emf of two primary cells. (ii) Determination of internal resistance of a cell. Characteristic curves of a Zener diode and finding reverse breakdown voltage. Measurable properties of gases; Gas laws – Boyle’s law, Charle’s law, Graham’s law of diffusion, Avogadro’s law, Dalton’s law of partial pressure; Concept of Absolute scale of temperature; Ideal gas equation, Kinetic theory of gases (only postulates); Concept of average, root mean square and most probable velocities; Real gases, deviation from Ideal behaviour, compressibility factor, van der Waals equation, liquefaction of gases, critical constants. Elementary ideas of quantum mechanics, quantum mechanical model of atom, its important features, concept of atomic orbitals as one electron wave functions; Variation of Ψ and Ψ2 with r for 1s and 2s orbitals; various quantum numbers (principal, angular momentum and magnetic quantum numbers) and their significance; shapes of s, p and d – orbitals, electron spin and spin quantum number; Rules for filling electrons in orbitals – aufbau principle, Pauli’s exclusion principle and Hund’s rule, electronic configuration of elements, extra stability of half-filled and completely filled orbitals. Quantum mechanical approach to covalent bonding: Valence bond theory – Its important features, concept of hybridization involving s, p and d orbitals; Resonance. Equilibria involving physical processes: Solid -liquid, liquid – gas and solid – gas equilibria, Henry’s law, general characteristic of equilibrium involving physical processes. Electrochemical cells – Electrolytic and Galvanic cells, different types of electrodes, electrode potentials including standard electrode potential, half – cell and cell reactions, emf of a Galvanic cell and its measurement; Nernst equation and its applications; Relationship between cell potential and Gibbs’ energy change; Dry cell and lead accumulator; Fuel cells; Corrosion and its prevention. Colloidal state – distinction among true solutions, colloids and suspensions, classification of colloids – lyophilic, lyophobic; multimolecular, macromolecular and associated colloids (micelles), preparation and properties of colloids – Tyndall effect, Brownian movement, electrophoresis, dialysis, coagulation and flocculation; Emulsions and their characteristics. Modes of occurrence of elements in nature, minerals, ores; steps involved in the extraction of metals – concentration, reduction (chemical. and electrolytic methods) and refining with special reference to the extraction of Al, Cu, Zn and Fe; Thermodynamic and electrochemical principles involved in the extraction of metals. Position of hydrogen in periodic table, isotopes, preparation, properties and uses of hydrogen; Physical and chemical properties of water and heavy water; Structure, preparation, reactions and uses of hydrogen peroxide; Classification of hydrides – ionic, covalent and interstitial; Hydrogen as a fuel. Preparation and properties of some important compounds – sodium carbonate, sodium chloride, sodium hydroxide and sodium hydrogen carbonate; Industrial uses of lime, limestone, Plaster of Paris and cement; Biological significance of Na, K, Mg and Ca. Preparation, properties and uses of boron and aluminium; Structure, properties and uses of borax, boric acid, diborane, boron trifluoride, aluminium chloride and alums. Tendency for catenation; Structure, properties and uses of allotropes and oxides of carbon, silicon tetrachloride, silicates, zeolites and silicones. Properties and uses of nitrogen and phosphorus; Allotropic forms of phosphorus; Preparation, properties, structure and uses of ammonia, nitric acid, phosphine and phosphorus halides, (PCl3, PCl5); Structures of oxides and oxoacids of nitrogen and phosphorus. Preparation, properties, structures and uses of dioxygen and ozone; Allotropic forms of sulphur; Preparation, properties, structures and uses of sulphur dioxide, sulphuric acid (including its industrial preparation); Structures of oxoacids of sulphur. Preparation, properties and uses of chlorine and hydrochloric acid; Trends in the acidic nature of hydrogen halides; Structures of Interhalogen compounds and oxides and oxyacids of halogens. Lanthanoids – Electronic configuration, oxidation states, chemical reactivity and lanthanide contraction. Actinides – Electronic configuration and oxidation states. Introduction to coordination compounds, Werner’s theory; ligands, coordination number, denticity, chelation; IUPAC nomenclature of mononuclear coordination compounds, isomerism; Bonding-Valence bond approach and basic ideas of Crystal field theory, colour and magnetic properties; Importance of coordination compounds (in qualitative analysis, extraction of metals and in biological systems). Tropospheric pollution – Gaseous pollutants: Oxides of carbon, nitrogen and sulphur, hydrocarbons; their sources, harmful effects and prevention; Greenhouse effect and Global warming; Acid rain; Particulate pollutants: Smoke, dust, smog, fumes, mist; their sources, harmful effects and prevention. Calculations of empirical formula and molecular formulae; Numerical problems in organic quantitative analysis. Tetravalency of carbon; Shapes of simple molecules – hybridization (s and p); Classification of organic compounds based on functional groups: – C = C – , – C ? C – and those containing halogens, oxygen, nitrogen and sulphur; Homologous series; Isomerism – structural and stereoisomerism. Aromatic hydrocarbons – Nomenclature, benzene – structure and aromaticity; Mechanism of electrophilic substitution: halogenation, nitration, Friedel – Crafts alkylation and acylation, directive influence of functional group in mono-substituted benzene. Nature of carbonyl group; Nucleophilic addition to >C=O group, relative reactivities of aldehydes and ketones; Important reactions such as – Nucleophilic addition reactions (addition of HCN, NH3 and its derivatives), Grignard reagent; oxidation; reduction (Wolff Kishner and Clemmensen); acidity of ? – hydrogen, aldol condensation, Cannizzaro reaction, Haloform reaction; Chemical tests to distinguish between aldehydes and Ketones. Carbohydrates – Classification: aldoses and ketoses; monosaccharides (glucose and fructose), constituent monosaccharides of oligosaccharides (sucrose, lactose, maltose) and polysaccharides (starch, cellulose, glycogen). Proteins – Elementary Idea of amino acids, peptide bond, polypeptides; Proteins: primary, secondary, tertiary and quaternary structure (qualitative idea only), denaturation of proteins, enzymes. Chemicals in medicines – Analgesics, tranquilizers, antiseptics, disinfectants, antimicrobials, antifertility drugs, antibiotics, antacids, antihistamines – their meaning and common examples. Integral as an antiderivative. Fundamental integrals involving algebraic, trigonometric, exponential and logarithmic functions. Integration by substitution, by parts and by partial fractions. Integration using trigonometric identities. Cartesian system of rectangular coordinates in a plane, distance formula, section formula, locus and its equation, translation of axes, slope of a line, parallel and perpendicular lines, intercepts of a line on the coordinate axes. Standard form of equation of a circle, general form of the equation of a circle, its radius and centre, equation of a circle when the endpoints of a diameter are given, points of intersection of a line and a circle with the centre at the origin and condition for a line to be tangent to a circle, equation of the tangent. Sections of cones, equations of conic sections (parabola, ellipse and hyperbola) in standard forms, condition for y = mx + c to be a tangent and point (s) of tangency. Probability of an event, addition and multiplication theorems of probability, Bayes theorem, probability distribution of a random variate, Bernoulli trials and Binomial distribution. Trigonometric identities and equations. Trigonometric functions. Inverse trigonometric functions and their properties. Heights and Distances. 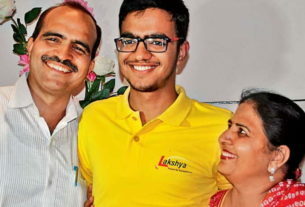 I need previous year toppers success story. JEE Main Previous Year Question papers.